Image: Matt Baron, Chelsea Lauren/Shutterstock. 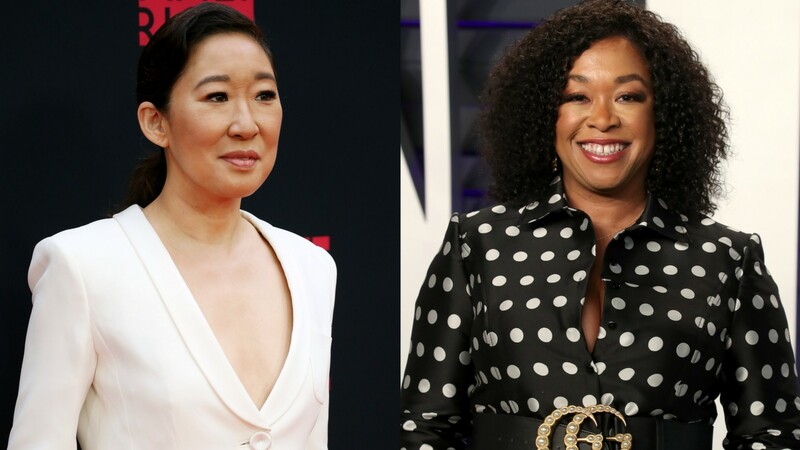 It finally happened: Sandra Oh and Shonda Rhimes have reunited. Sadly, the reunion wasn’t related to Grey’s Anatomy, but it was related to Oh landing on Time’s 100 Most Influential People list for 2019, which we think is still a pretty big deal. Rhimes wrote a tribute to Oh for the Time 100 list and the entire piece is just stunning. Rhimes is so complimentary of Oh’s talents as well as her place in pop culture, reminding us that Oh makes our lives better through the work she does. We’re living! The basic idea behind the Time 100 list is not only to honor 100 people who are changing and influencing the world through their lives and work but also to recruit fellow celebrities who either have a personal relationship with the honoree in question (or are in a similar field) so they can enlighten readers as to why that honoree has made the list. Some of the big names who’ve made it onto this year’s list are: Joanna Gaines (tribute written by Tim Tebow); Michelle Obama (tribute written by Beyonce); Chrissy Teigen (tribute written by chef Eric Ripert); Dwayne Johnson (tribute written by Gal Gadot); Emilia Clarke (tribute written by Emma Thompson); Brie Larson (tribute written by Tessa Thompson); and Alexandria Ocasio-Cortez (tribute written by Elizabeth Warren). Uh oh, we can already tell this is going to be good. Legendary! Did you hear that, world? Rhimes just called Oh “legendary” and she couldn’t be more correct. Rhimes doesn’t stop there, though, going on to list every possible reason for Oh making it to this year’s Time 100 list. Rhimes and Oh have not worked together since Oh left Grey’s Anatomy in 2014, but it’s clear that there is no love lost based on what Rhimes says of Oh in this tribute. Oh has worked so damn hard to get to the place she is at right now, where she is the lead of a hit TV show (that’d be Killing Eve) and is scooping up awards because of it. She’s too precious a talent to waste and if anybody knows the truth of that sentiment, it’s Rhimes.